Located in the Vietnam's northeastern seacoast, belong to Halong City, Quang Ninh Province, Halong Bay means " The Bay where the Dragon descends into". Nowadays, Halong Bay becomes a famous destination for many the domestic and travellers international for its magnificent and spectacular beauty. Halong Bay, a mighty and unique artwork by nature with thousands of islands rising from the emerald water, is the number-one tourist destination of northern Vietnam. Thousands of small islands with the towering limestone pillars concentrated in two main zones includes the southeast belong to Bai Tu Long, and the southwest belong Halong Bay, which have formed a perfect beauty of Halong Bay like now. Thanks to its aesthetic and geomorphological values, in 1994 and 2000, Halong Bay is designated by UNESCO as World Natural Heritage Site. 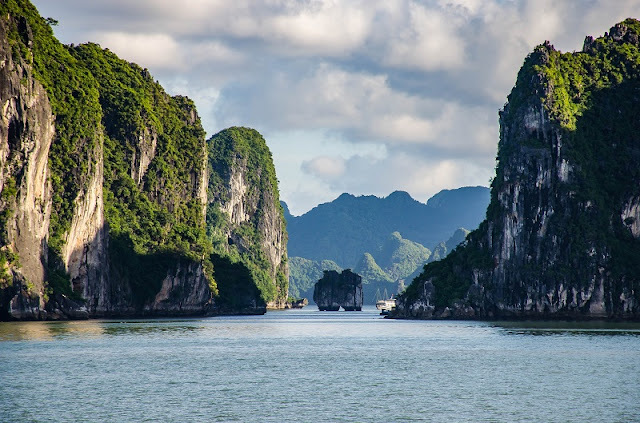 On the peaceful water along with the spectacular scene, Halong Bay is one of the cradles of ancient Vietnamese people with three pre-historic cultures which are Soi Nhu, Cai Beo and Ha Long. It is home to three traditional floating villages that date to the early nineteenth century. These communities are approximately 1700 people, who live on boats and floating wooden houses for several generations in the core zone of Halong bay. They have no home or land ownership and their main livelihood is fishing and aquaculture. Moreover, owning the tropical coastal climate with two distinctive seasons: hot and moist in summer, and dry and cold in winter. The temperature ranges through most of the year from 15°C to 25°C. So, Halong Bay can be visited the whole year round. 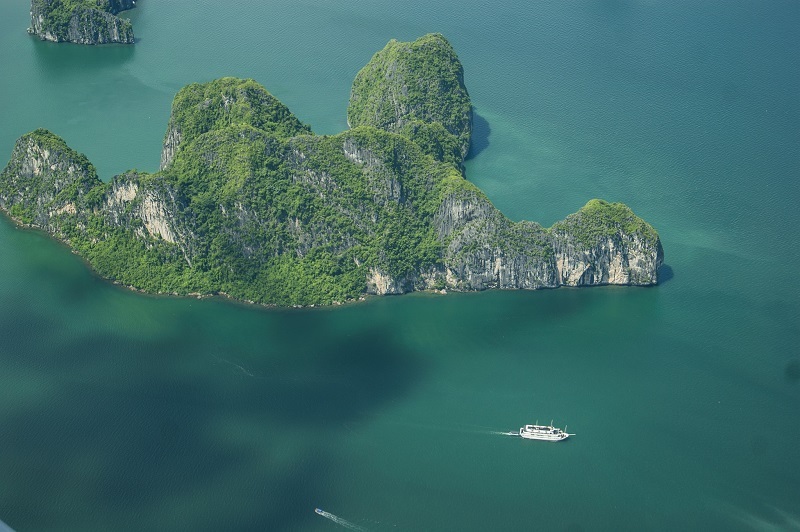 However, the best time for a trip on Halong Bay is from April to the end of December (the time of summer and winter in Vietnam). Although Halong Bay is most beautiful in the summer, it sometimes has heavy rains or even sea storms. In Vietnam, Halong Bay is always one of the top destinations for many domestic and foreign tourists. 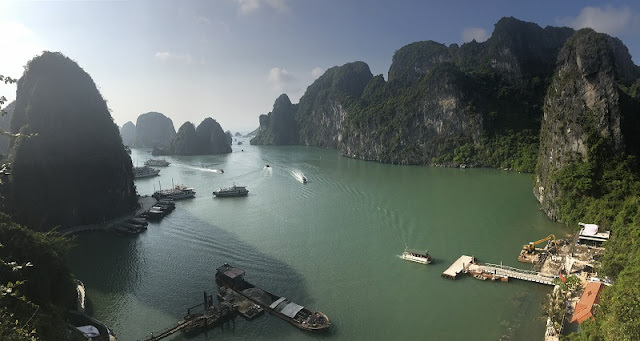 Coming to Halong bay, you will get so many great and unforgettable experiences when having the chance to admire the majestic landscapes, and join the unique and interesting activities to discover Halong Bay, one of the most beautiful bays in the world.